Ever wonder which cities in the U.S. are the most popular cities for certified occupational therapy assistants to work in? Or how much salary OTAs earn in these cities? 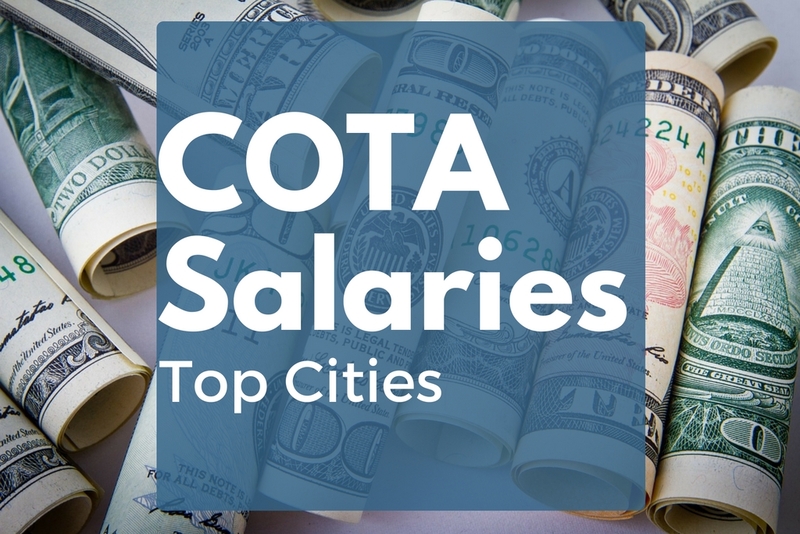 We used Payscale and Salary.com to collect salary data and determine this list of the top 10 most popular cities for COTA professionals to work in. The 10 most popular cities for certified occupational therapist assistants to work in each pay over $52,000 per year on average. Salaries range from just under $47,000 up to over $63,300 when looking at salary data for these cities. We have used all of the data from Salary.com and Payscale.com to create this list of top 10 most popular cities for COTA professionals to work in. For each city we’ve included some of the city’s main attractions as well as stats such as median annual salaries and salary ranges for COTA employees. Note: We did not include bonus and benefit data as well as some other minor factors that can affect base pay. Also, please keep in mind that each individual’s COTA salary is going to vary depending on a number of factors including industry, location, company size, level of education, and years of experience. Also, for more OTA salary data across the country you can download our free 2016 OTA Salary Guide. Just share this page to download the free PDF now. You can also view our OTA Salary database online. San Diego is the 8th largest city in the U.S. with a population of almost 1.4 million in 2015. Located in California, about 190 km south of Los Angeles, on the pacific coast near the Mexican border. 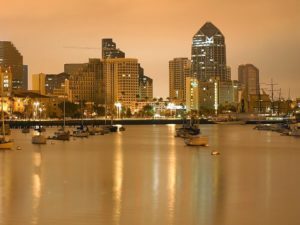 Known for its year-round mild climate it is no wonder many are attracted to live and work in San Diego. The city also offers a natural deep water harbor, many beaches, and has recently emerged as a biotechnology and healthcare development center. One of the many reasons COTA professionals are attracted here. See more COTA salary data for California’s major cities. Chicago, often called the “Windy City”, is the 3rd most populated city in the U.S. with 2.7 million residents and the most populated city in Illinois and the Midwestern U.S. The Chicago metropolitan area is home to nearly 10 million people. 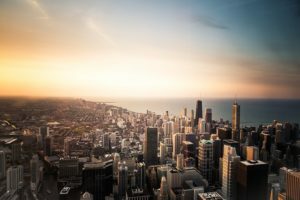 Chicago is one of the busiest cities in the world, producing the 3rd largest gross metropolitan product in the U.S. of $630.3 Billion and ranked 7th in the world as an alpha global city by the Globalization & World Cities Research Network. Chicago has a lot of culture and plenty of entertainment to offer residents. Including visual arts, theater, film, music (especially jazz, blues, soul, and gospel) as well as major sports teams in each of the major professional leagues. See more COTA salaries for Illinois’ major cities. Atlanta is the capital of Georgia as well as the most populated city in the state with about 463,878 residents estimated in 2015. Atlanta is a cultural and economic center, the metropolitan area is home to over 5.5 million people. Atlanta is the major transportation hub of the Southeastern U.S. with one of the busiest airports in the U.S. It is also known as an “Alpha” or “World City” that has a significant impact on international commerce, research, finance, education, art, media and technology. The city offers tons of southern culture and has expanded to include other cultures that migrants have introduced to the region. There are established theater, arts, and music venues in all major performing areas such as opera, ballet, and orchestra. Atlanta is also home to the Braves (MLB), Hawks (NBA), and Falcons (NFL). 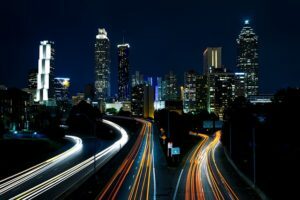 View COTA salary data for all major cities in Georgia. I lived and worked in Houston for a while and I can vouch for the dining. You can find any type of ethnic food in the world in Houston and of really good quality because it will be cooked and served by immigrants from the country of origin. Mediterranean, Vietnamese, Japanese sushi.. mmmm so good. Job opportunities are plentiful for COTA professionals in Houston and pay is relatively good coming in at just above the national average. Not only are job opportunities plentiful but they exist for a large variety of industries as well. 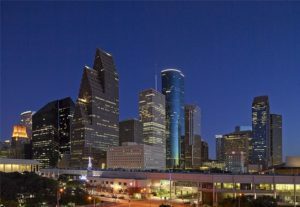 Everything from skilled nursing facilities, to pediatric OT, to home health care and dementia care – Houston has plenty of options for COTA professionals. See all COTA salaries in Texas’ major cities. The Charlotte Metropolitan area had a population of almost 2.4 million in 2014 making it the largest city in the state of North Carolina. Furthermore it is the 2nd largest city in the southeastern U.S. not far behind Jacksonville, FL. Charlotte isn’t done growing either, it is the 3rd fastest growing major city in the U.S. Known as a large banking center home to headquarters for Bank of America and Wells Fargo’s east coast operations – Charlotte is also a very popular city for occupational therapy professionals. Charlotte has many attractions such as the Carolina Panthers (NFL), the Charlotte Hornets (NBA), the Charlotte Independence of the United Soccer League (USL), the NASCAR Sprint Cup, NASCAR All-Star Race, NASCAR Hall of Fame, amusement parks, an international airport and more. See all average COTA salaries for North Carolina’s major cities. Detroit is the most populated city in Michigan and has over 4.3 million residents in its metropolitan area. 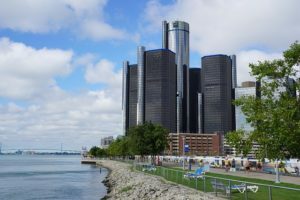 Since the decline of Detroit’s auto industry during 2000 – 2010 the city is now focused on becoming the region’s economic and employment center. Detroit is one of only 12 American metro areas that is home to professional sports teams representing the 4 major sports in North America. The Detroit Pistons (NBA), Tigers (MLB), Lions (NFL), and the Red Wings (NHL). The downtown, midtown, and new center areas are being revitalized as professionals are flocking to these areas. There is an urban cultural scene growing with plenty of nightlife, cultural events, and dining. See each COTA salary for Michigan’s major cities. 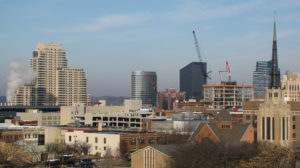 Grand Rapids is Michigan’s 2nd largest city with around 188,040 residents in the city and about 1,005,648 in the metropolitan area. Nicknamed “furniture city”, it is a historic furniture-manufacturing center and is still home to 5 of the world’s leading office furniture companies. It also commonly known as “River City” in reference to the landmark river that it is named after. The area is economically diverse and especially strong in the following areas: information technology, healthcare, automotive, aviation, consumer goods, and various manufacturing industries. Grand Rapids is home to a number of well known performance concert venues where you can find male chorus performers, a cappella performers, ballet companies and more. The city has a historical culture with outstanding museums and summer festivals full of fireworks, free concerts, displays, and food booths. Get all COTA salary data for Michigan’s major cities. St. Louis is an inland port in Missouri on the Mississippi river. In 2010 the population was 319,294 with over 2.9 million residents in the metropolitan area. The economy is reliant on trade, manufacturing, transportation of goods, and tourism. Several large american corporations are headquartered in St. Louis such as Anheuser-Busch. There is also a large medical and research community making it a great area for occupational therapy professionals. The city was French founded and has maintained some of this french culture still offering historical french cathedrals such as the St. Louis Abbey. The city is also home to the Cardinals (MLB) and the Blues (NHL). The city offers over 100 parks with a number of activities such as sports facilities, playgrounds, picnic areas, concert venues, and lakes. See COTA salary data for Missouri’s major cities. With a population of just over 2.6 Million, Pittsburgh is the 2nd largest city in the commonwealth of Pennsylvania. 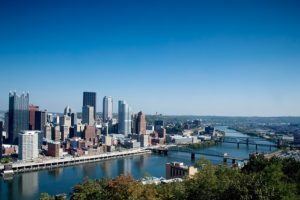 It is known as “the Steel City” for its 300+ steel related businesses but it is also one of the most popular cities in the US for occupational therapy assistants. You also may have heard the city referred to as the “City of Bridges” for its 446 bridges. The city is located at the intersection of 3 rivers and has many water crossings. See more annual OTA Salaries in Pennsylvania’s major cities. Louisville, named after King Louis XVI of France, is one of the oldest cities west of the Appalachians. In 2014 it was home to 760,026 residents with nearly 1.3 million living in its metropolitan area. Although Louisville is home to dozens of major companies operating in a variety of industries, the primary industry present is shipping and cargo. This is due to its unique location in the center of the U.S. as it is only 1 days road travel to over 60% of the country. Something to consider if you’re a COTA who likes road trips. That said, Louisville has emerged as a major center for medical science and health care industries and is home to an 88 million dollar rehabilitation center – making it a great location for occupational therapy professionals. 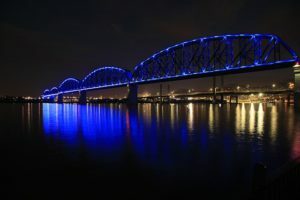 Louisville is known for its independent businesses and restaurants giving it a unique and creative local flare. It is also home to many annual cultural events such as the Kentucky Derby, the Great Steamboat Race, and the Great Balloon Race. Furthermore, there are over 122 city parks offering plenty to do for people of all interests and ages such as hiking, concerts, swimming, and various festivals. View COTA salary data for Kentucky’s major cities. There you have it. The top 10 most popular cities for COTA to work in ranked by their average annual salary. If you are a student graduating soon, who is considering relocating, then be sure to look into these areas. For currently employed occupational therapy assistants, this is good information to compare with your compensation, to ensure you’re getting what you’re worth. If you need COTA salary data for other states and major cities then use our certified occupational therapist assistant salary database to research and compare OTA salaries in every major city in the U.S.
Drop us a comment below and let us know where you work as a COTA. Is your salary consistent with what is reported here? There is a high demand in CA right now for OT assistants but there are one or two schools at most that offer the program. Very frustrating. Hey Cindy, thanks for the comment. You’re right about the high demand for OTAs in CA. Unfortunately, for such a big state, there aren’t many OTA programs. I agree, there should be more. Thanks for publishing this article. I will be graduating in 2016 as a COTA & was wondering what type of facility or company would be the best paying. Home Healthcare Services is the industry segment that pays the highest salaries for a COTA. You can also download a free PDF of our OTA Salary Guide which includes a table comparing the top 5 paying industry segments for a COTA.